Hi there. 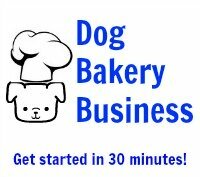 I need to know how to make the best iced cupcakes for doggies, as I have a log cabin reserved in the next month to sell dog treats.. The council has brought the venue 4 weeks early this year and I really don't know where to start as there is so much to take in! Any help with regards to icing cup cakes would be very much appreciated.. Icing cupcakes for dogs requires you to use ingredients that are safe for dogs. That basically rules out human icing as it is full of sugar, fat and in many cases, chocolate. Do not feed chocolate to dogs. It is like poison to their system due to its ingredients. Sugar and fat are also not good for them. We recommend dairy-free Magifrost dog treat icing. It has been specifically formulated for dogs and other pets. 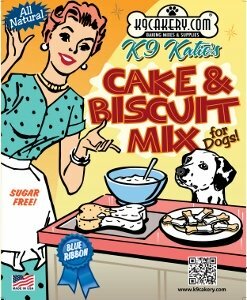 You can find it at www.K9Cakery.com. You can color it any color and add flavorings including carob to create a "chocolate" look.